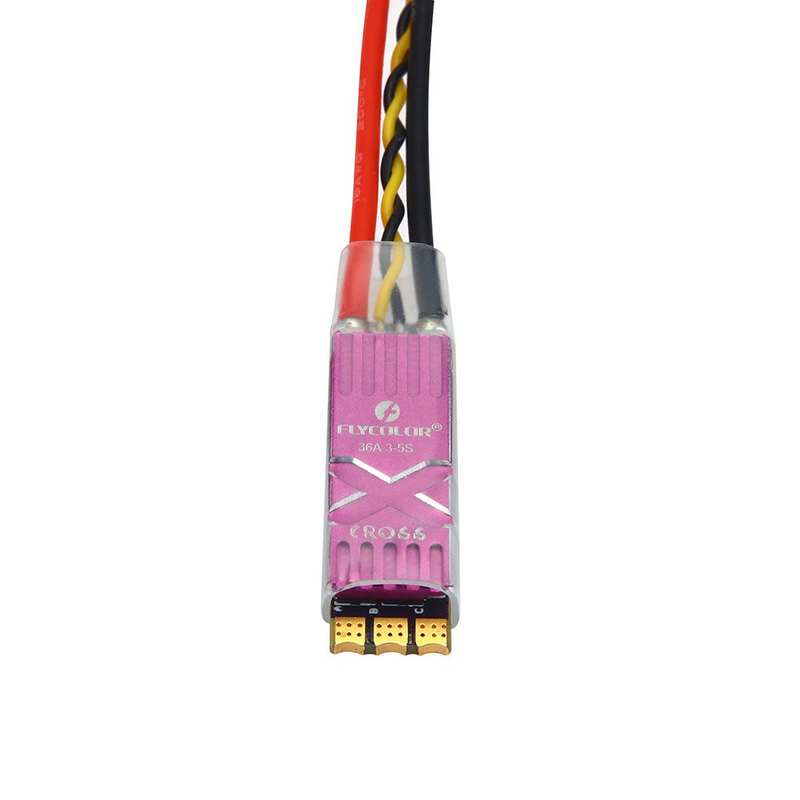 Flycolor newly released teh BL32 36A 3-5S esc for rc drones. 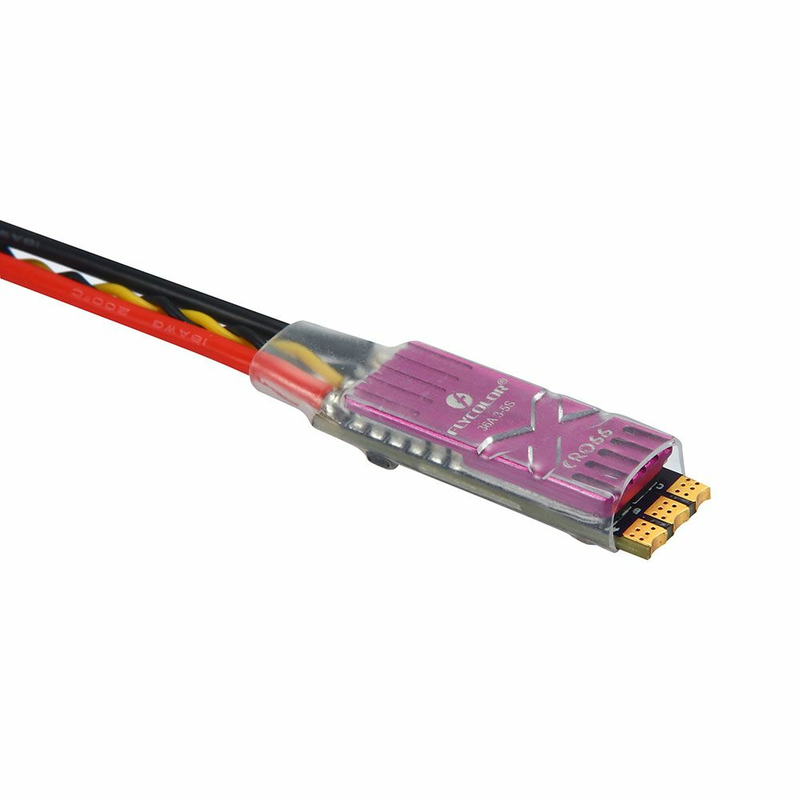 This ESC is specially designed for narrow arm frame drones. The width of the esc is only 11mm, and the weight is ultra light, only 9g, perfect fo fpv racing drones and other quads. Thermal protection can be enabled or disabled. 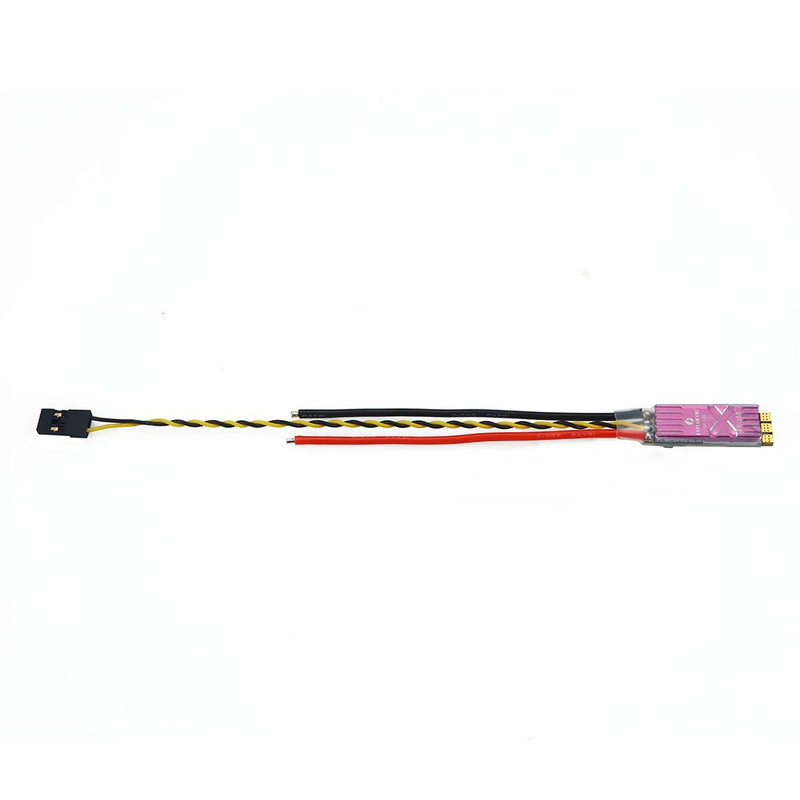 And the temperature threshold can be programmed The programmable threshold is primarily meant as a support for hardware manufacturers to use, as different hardwares can have different tolerances on the max temperatures of the various components used. 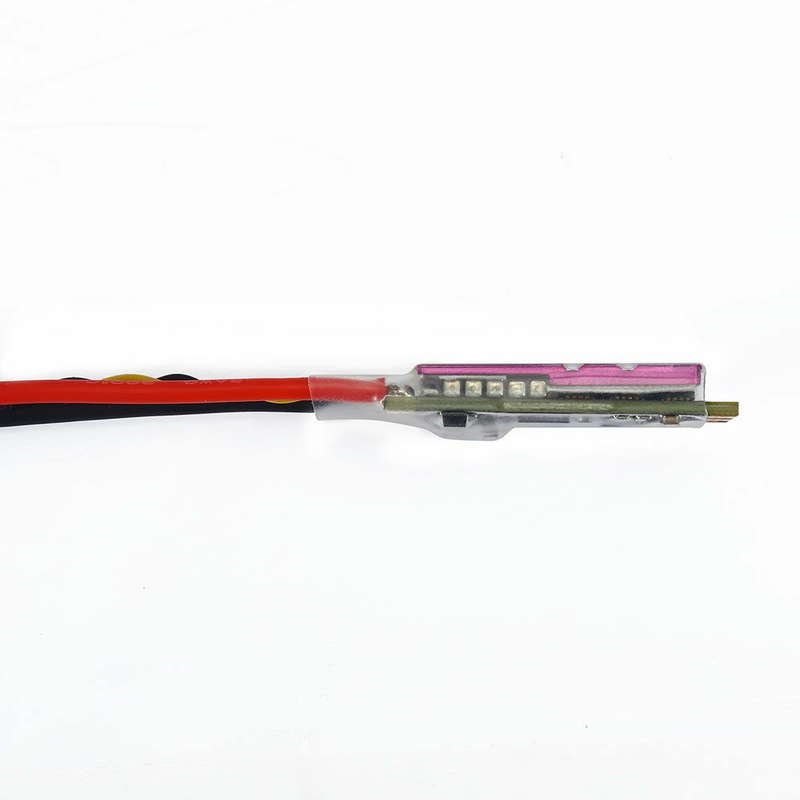 Low voltage protection can be set between 2.5V and 4.0V per lipo cell. Or it can be disabled. When enabled, it will limit power applied to the motor if the battery voltage drops below the programmed threshold. This feature is primarily intended for fixed wing crafts. Brake on stop can be set between 1% and 100%, or disabled. When not disabled, brake will be applied when throttle is zero. For nonzero throttle, this setting has no effect. Sine modulation mode can give a few percent more efficient running, as well as smoother running. 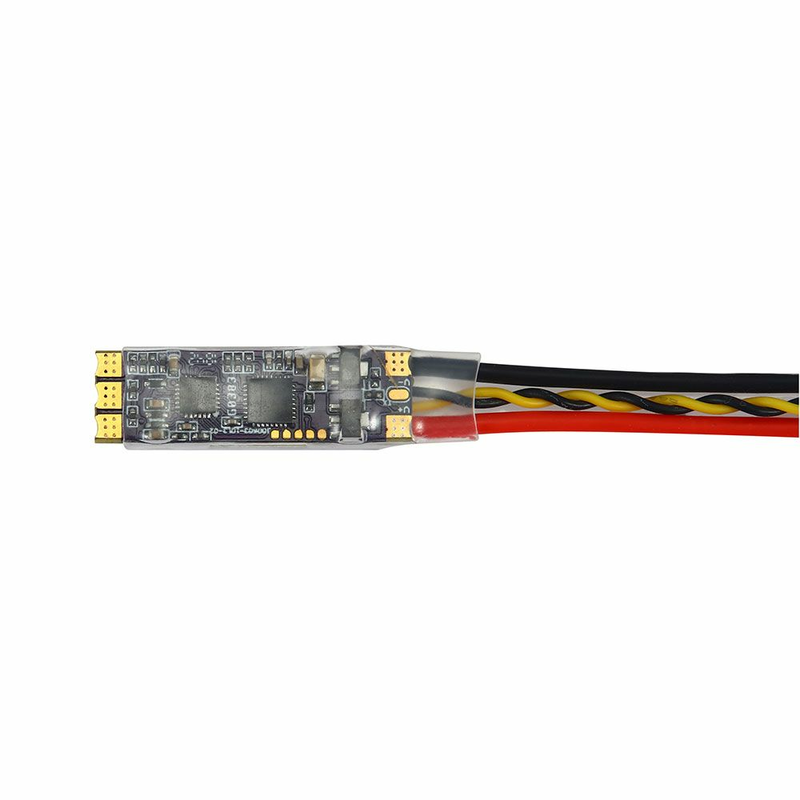 When auto telemetry is enabled, the ESC will autonomously output telemetry at 32ms intervals, regardless of whether or not there are telemetry requests from the input signal.